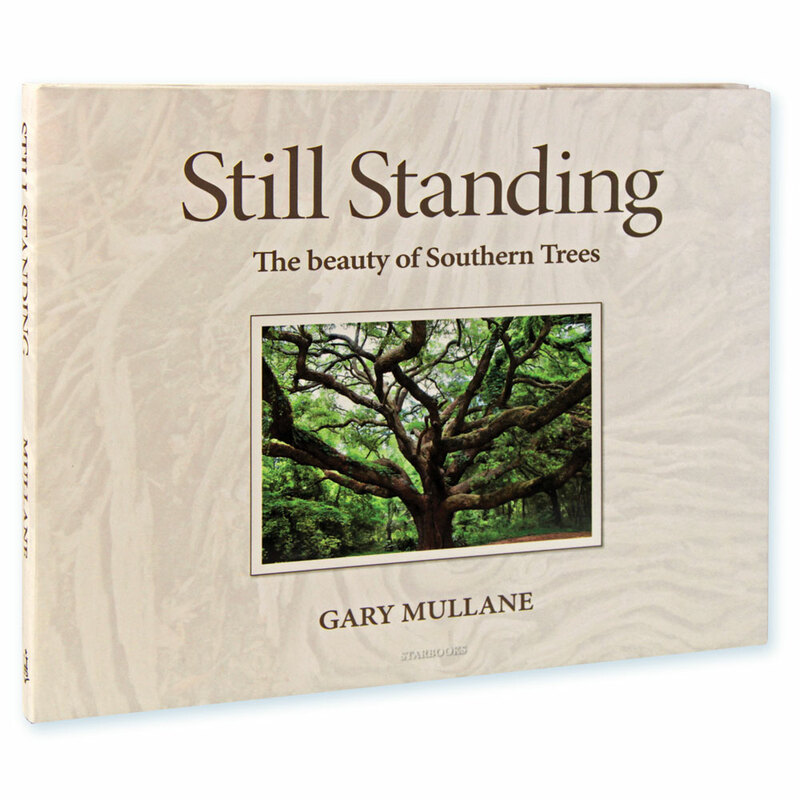 Author Gary Mullane's journey to becoming an award-winning arborist and nature photographer started at the age of 16 when he began working at his Dad's tree company. 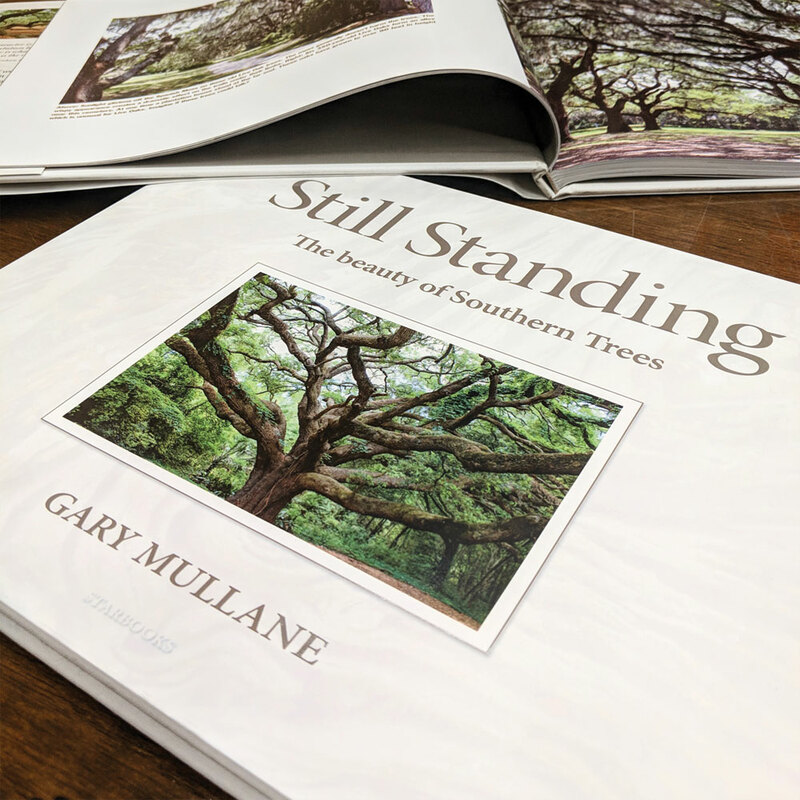 Inside his book "Still Standing", you'll learn about trees while you observe their beauty and strength in these lush photographs of trees throughout the South. Growing through the ages for hundreds of years, you can see and learn how trees stand the test of time through nature and nurture. 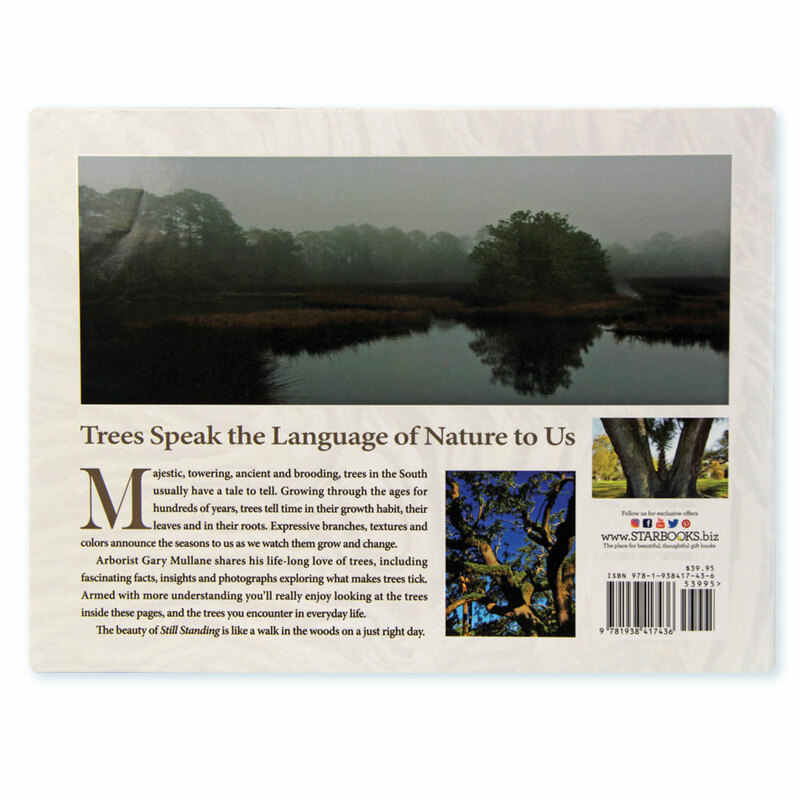 Their expressive branches, textures and colors announce the seasons to us as we watch them grow and change in the pages of this stunning giftbook. You'll see 400-year-old trees, and learn how trees adapt, grow and heal in surprising ways. Gary Mullane's journey to becoming an award-winning arborist and nature photographer started at the age of 16 when he began working at his Dad's tree company. He was the grunt who picked up debris, put down much, raked and served as the team's "gopher." This humble beginning imbued him with a love of trees that inspired him to earn a degree in Arboriculture and Park Management from the University of Massachusetts and jumpstart a career of excellence. Gary has taken pictures of trees throughout his career to document diagnoses, to analyze damage, and to use in court in his role as an expert witness in tree-related injury/death cases. He found beauty in the "accidental pictures" he took as part of his job, and has now transitioned to taking "intentional photographs" to share as art. Mullane Associates provides consultation in numerous tree-related areas of interest including preservation efforts and design on construction sites, golf course tree design and management, developing tree disaster recovery plans for towns, cemeteries and most notably for the Augusta National Golf Course. In 2003 he was the recipient of the Award of Merit from the National Arborist Association, the most prestigious and highest award in the tree industry. Gary is past-president of both the National Arborist Association and the American Society of Consulting Arborists. He is an Honorary Life Member of the International Society of Arboriculture.